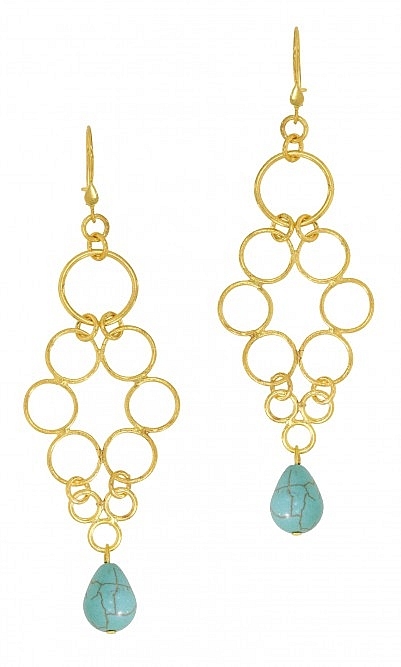 Turkish-inspired earrings with gold interlinking circles and finished with turquoise stone. Secured hook clasp fastening. 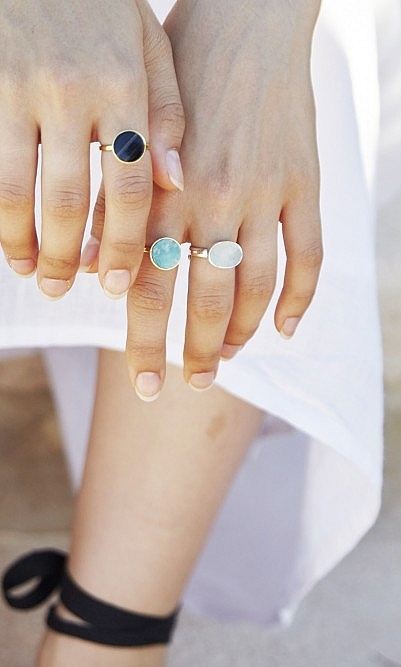 21ct gold plated brass. L12cm.